This week, our team was in attendance at the 2018 Midwest Multifamily Conference Convention, held at the JW Marriott by the Indiana Apartment Association. 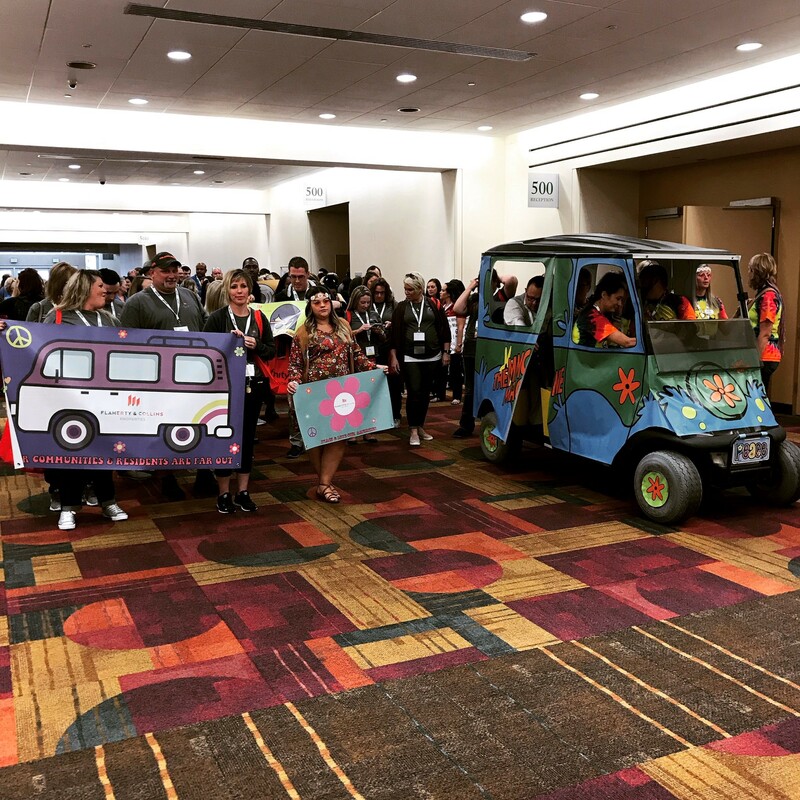 Each year, multifamily groups from across the Midwest gather for two days of conferences on a variety of topics important to the multifamily industry, and enjoy the trade show, where vendors offer products and show off their latest and greatest features. And our team really enjoyed the 60s theme of this year’s conference. The two-day event is capped by the annual President’s Dinner, where Prodigy Awards and Awards of Excellence are handed out. A very special thanks and kudos to all our F&C team members who volunteered to work the convention, and to our very own Kristin Quinn, who chaired the convention committee this year. 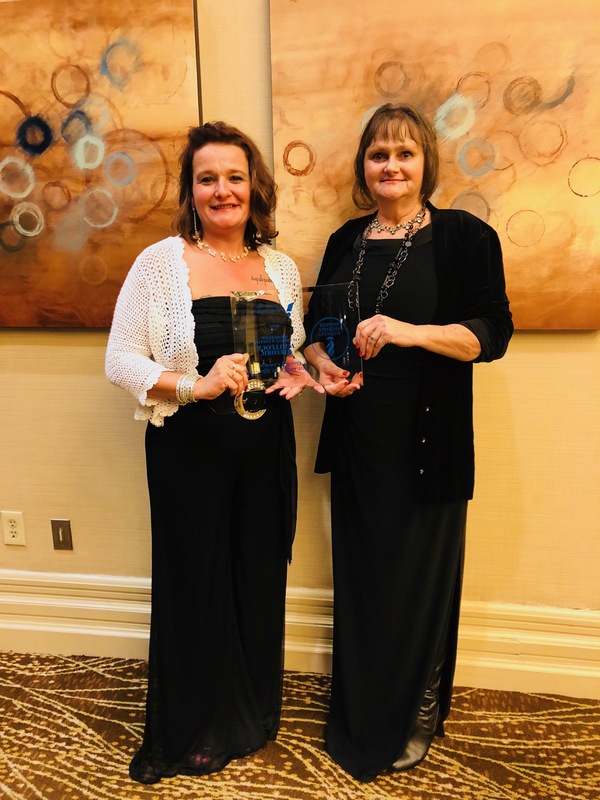 Flaherty & Collins Properties was recognized with nine (9) Midwest Multifamily Conference (MMC) Prodigy Awards and Awards of Excellence by the Indiana Apartment Association (IAA) for 2018. For the third time in four years, Flaherty & Collins Properties collected the most awards of any company. 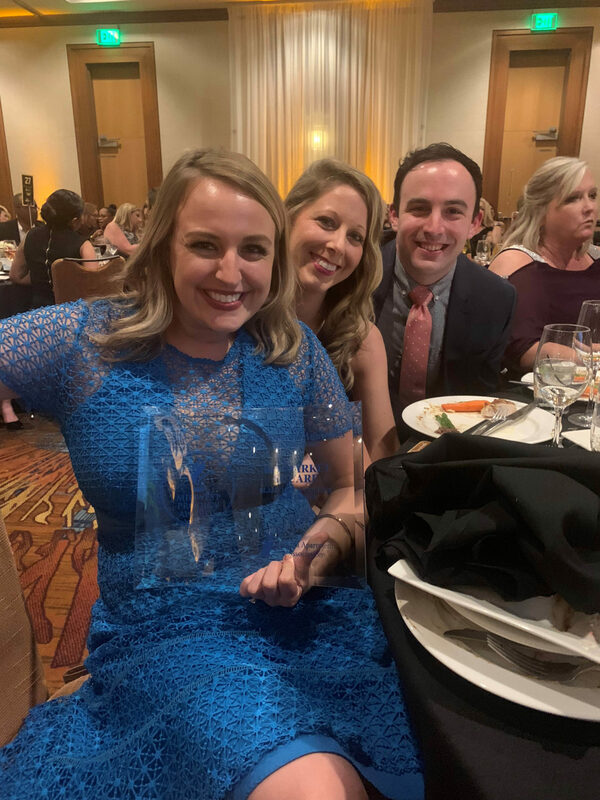 360 Market Square was honored with three awards, Carrie Blastic was honored as the top Regional Property Manager and F&C was named Best Corporate Marketing for the third time in five years. 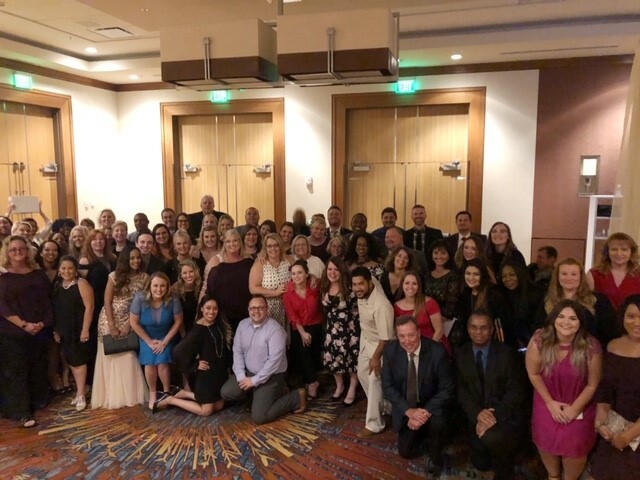 F&C has won 41 Prodigy Awards and Awards of Excellence since 2014, also the largest total for any company over that span. We’re certainly proud of our various teams, team members and communities for being recognized as the best of the best. The Prodigy Awards recognize apartment communities of all types and sizes in categories ranging from floor plans and decoration to marketing efforts and curb appeal. The Awards of Excellence honor the region’s top professionals in a number of categories: multifamily manager, assistant manager, maintenance supervisor, and more.